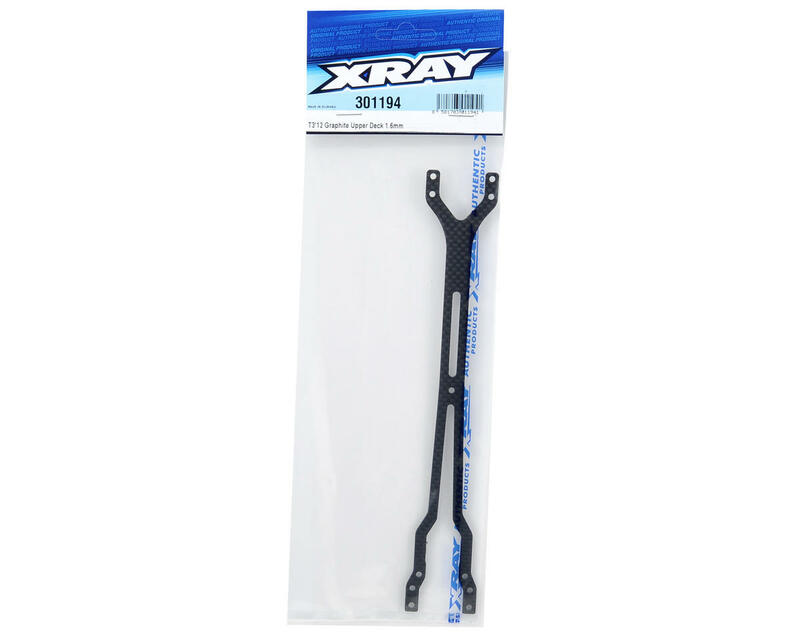 This is an optional XRAY 1.6mm Graphite Upper Deck, and is intended for use with the XRAY T3 2010 spec touring car.To generate even more traction, the T3 2012 Spec 2mm chassis can be combined with this 1.6mm top deck. 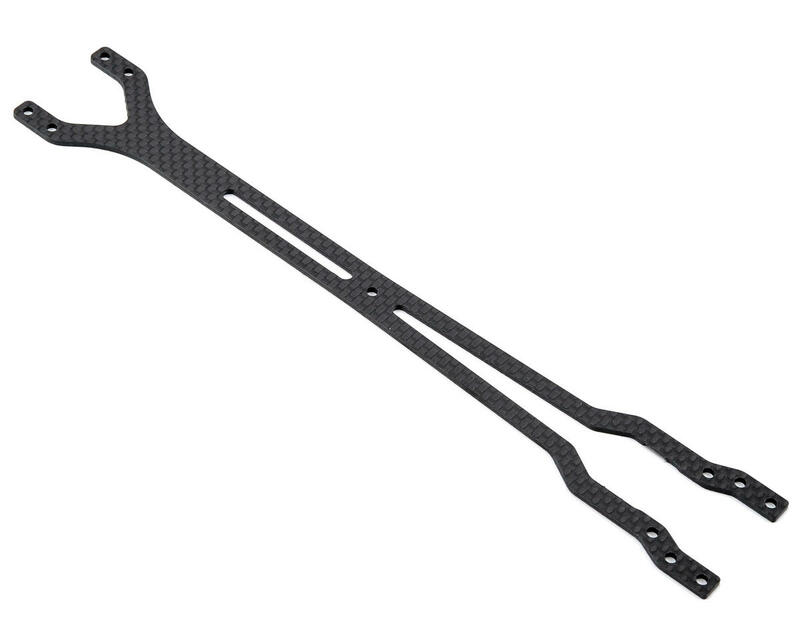 This part was developed to increase traction and in-corner steering. With the thinner top deck, the car will flex more which generates overall more traction when compared to the standard 2mm top deck.